We arrived at Busamed Gateway Private Hospital that morning knowing that Matthew was going to theatre to have two (2) chest drains inserted. The CT scan the day before had shown fluid in the chest cavity and these drains were to remove this fluid build-up around his lungs. Matthew was very nervous. He had been told the procedure would be done under local anaesthetic, in the cardiac theatre, and he didn’t particularly like the idea of being awake while someone cut into him. Also, from experience he knew just how sore chest drains could be. Once again the nursing sisters had stepped up and reassured him about what was going to happen. The surgeon also reassured him and told Matthew that he would talk him through the whole process. We know that he probably regretted that offer, as when we chatted to Matthew afterwards we got the impression that he had asked a lot of questions of the doctor! 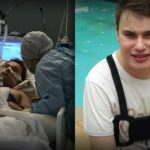 He went to theatre and was back relatively quickly – but then came the story! The drains had been inserted with the tubes on both lines clamped. Once the lines had been secured, the surgeon had opened the one drain which was directed into a 1 litre bottle and then he moved around to open the other drain. When he got back to the first side, the first bottle was almost overflowing! Almost 1.2 litres of fluid had already drained from Matthew’s chest cavity before he left theatre. This clearly gave him great relief as when we popped into his cubicle once he was back, we found him sleeping peacefully. The focus was now on the preparation for going home and we were a captive audience for Cindy, Matthew’s transplant coordinator, to do our post transplant training. 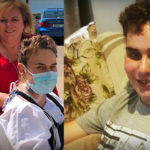 We found it really interesting to find out the why’s and why not’s of all the medication and how to keep Matthew safe for the first three to six months post-transplant. We also received a lot of reading material which I have been through twice (but still find myself forgetting information). When Matthew is ready, we will go through the information together as he needs to take responsibility for his own health now. With the training we were also given Matthew’s transplant bracelet. This has on it all of his important transplant information so he needs to wear it all the time. When we showed it to him later, he was really chuffed with it and immediately put it on. As evening came around, I can remember thinking that I hoped that this was the last bump in the road. I’ve never enjoyed the idea of being around hospitals with Matthew in ICU. However this experience was not a bad one because of the incredible support and communication that we received from everyone, hospital management included. 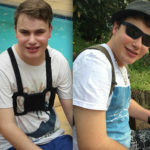 After his drain procedure the day before, it was amazing to see Matthew looking bright and cheerful the next morning. On top of this, we were told that Matthew’s drains would be coming out as soon as he had physiotherapy that morning. The splint for his leg also arrived that day which aided his ability to walk. He was not allowed any other support, like crutches or a walker, as using these would put pressure on his healing chest and potentially damage the sternum. All we were now waiting for was for Matthew’s medication to be balanced and for him to be more mobile before he came home to continue his recovery there. Our hope was that it was going to be sometime the following week. As the day ended, we reflected on it and we would categorise this one as an excellent one. This had certainly been an “up day” – Matthew’s drains came out, he tried walking with the splint and he even got to sit outside for half an hour. The next couple of days were undoubtedly going to be days of hard work to get Matthew more mobile. 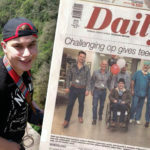 Another up was a surprise phone call from Angus Buchan who had called to pray for Matthew. Matthew was so encouraged by this. We were often asked if we were concerned as the end of our hospital stay came closer. 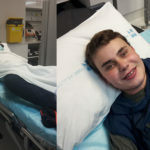 Were we nervous about taking Matthew home and managing him as a transplant recipient? Surprisingly, neither Brian nor I were. 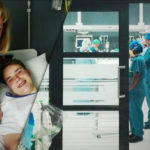 This was certainly new territory for us, but with a good set of transplant documentation, good communication from our Transplant Coordinator and easier contact with Matthew’s doctors’, we were sure we would learn all that we needed to know. We know this process has been truly miraculous and in all honesty I believe Matthew’s previous surgeries and the long hospital stays, had, in some small way prepared us for this one, which ended up being shorter than most of our previous visits! Matthew’s surgeon was away on a conference so Matthew was not able to go home early the next week as we had hoped. There was a possibility that he would go home midweek so we needed to do some more preparation at home before then. This would mean coming in around mid morning for a couple of days. Fortunately we were aware of a couple of Matthew’s friends who had asked permission to, and were intending to come and visit him, albeit masked and from the door of his cubicle. 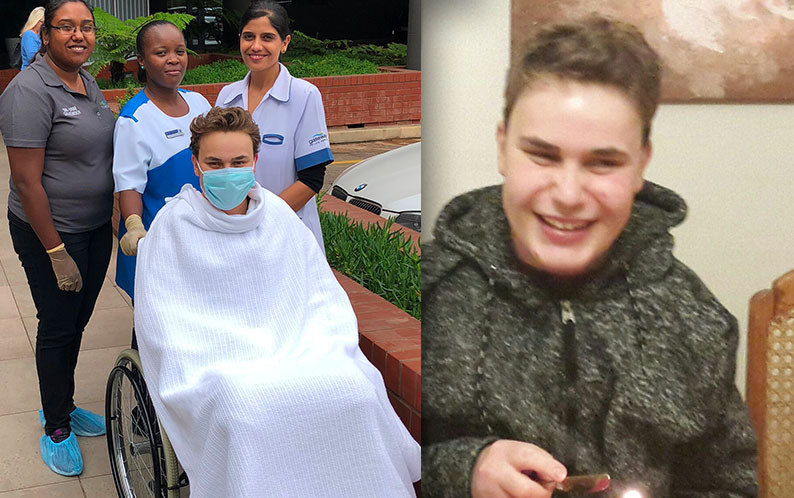 Knowing he had friends visiting and that he would see some new faces certainly made a difference to Matthew. 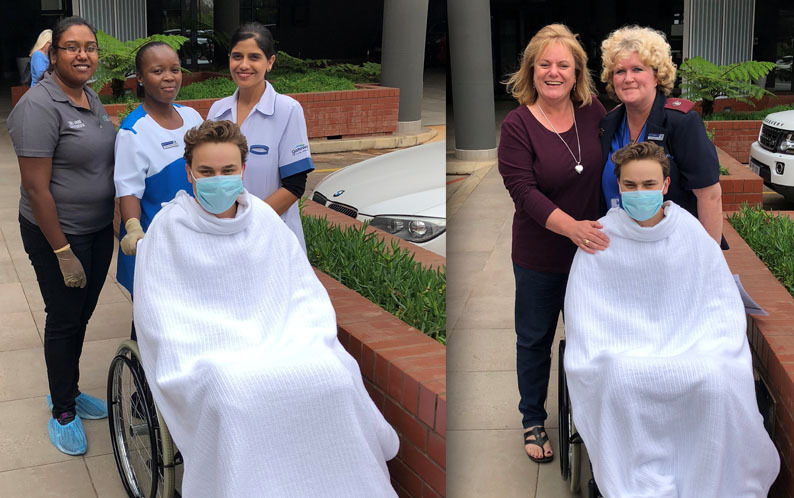 One of the things we know for sure is that it was the sisters and staff that looked after him each day that got Matthew through the boring, difficult and emotional days. Each individual did their bit of encouraging, admonishing when necessary, but most of all they took their lead from Matthew’s mood and helped him get through each new day. Matthew laughed at their antics and stories and really appreciated all of their efforts. As we thought back over the last few weeks we were awed by God’s grace towards us all. 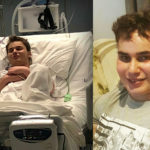 We also discussed the urgent need for us to do more of what we had been doing – sharing Matthew’s experience in order to raise more awareness about organ and tissue donation and the difference it can make for people in desperate need. As I looked at Matthew I could only marvel at God’s goodness – Matthew was surrounded by people who had supported him so well, he was pink, he was doing extraordinarily well and he had his whole life ahead of him. What a blessing!